Which Body Pillow Fill is Best For You? Chris Manley is the owner of Resthouse Sleep Solutions in Duncan, British Columbia, Canada. He is passionate about organic and natural alternatives to a healthy sleep. You are looking for a new organic body pillow. You come to the Savvy Rest website and realize--wow, this is a great selection. You have heard that body pillows are considered one of the best sleep aids but you are unsure of how to choose one. The most important things to keep in mind are the safety of the materials used and of course, comfort. Savvy Rest organic body pillows do not have chemical flame retardants, formaldehyde, memory foam or any synthetics materials. They are clean, green and incredibly supportive. 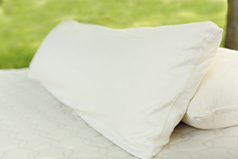 Savvy Rest offers four unique body pillow fills, all of which are customizable and are available in various sizes. There is a perfect body pillow for every side sleeper. Here is a list of the fills they carry and some of their features. Savvy Rest offers various fills because everyone defines comfort differently due to their individual needs and preferences. Do you like a pillow that feels like down but has better volume and support? If so, kapok is for you! Maybe you like a soft yet supportive body pillow—a wool-latex blend is probably your best bet. Regardless of what you choose, each body pillow includes natural and certified organic ingredients, giving you peace of mind. Each pillow comes with three GOTS certified organic cotton cases. The inner case holds the organic material. Then there is the organic flannel second layer and the final layer made with sateen organic cotton. 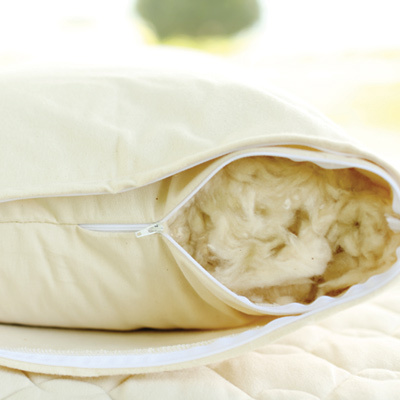 The organic cotton makes all of the body pillows breathable and clean. No matter which fill you choose, each pillow is customizable for your needs. If you picked one and find that it is too full, you can remove some fill to make it work for you. This is the beauty of customization. Enjoy your newfound sleep haven! Choose your the size and fill of your body pillow to create the perfect sleeping aid.